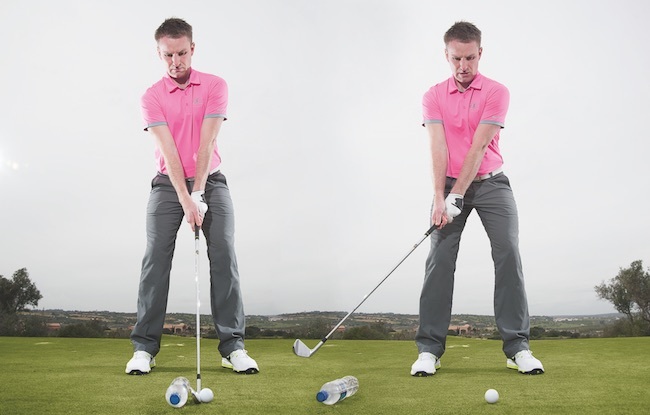 You may well find a few different options on how to set-up for a pitch shot. The old fashioned ways were very much aim left, point your club to the target and swing by chopping across the ball. Whilst there are some players who were very successful with that, the evidence was that the strike wasn’t always consistent as it often came off the toe, with the ball getting more of a glancing blow. 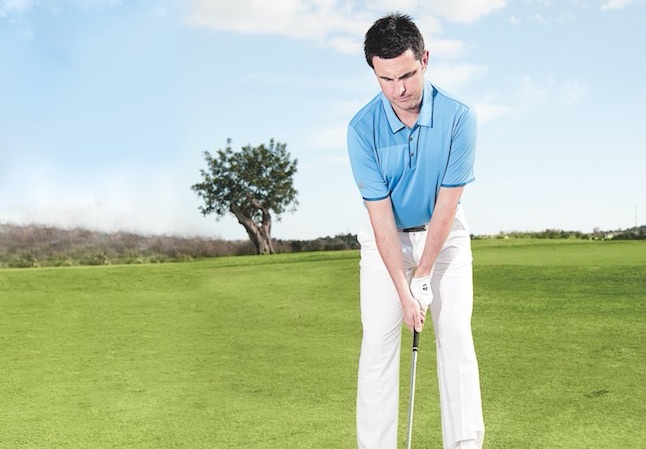 Being consistent, though, will make you a better player and improve your scores. Off the fairway, you might be able to get away with it but, off tight lies, that can be quite difficult. Here’s what I suggest you do to get more consistency. Stand square with your feet and, to give yourself a little bit of openness with your stance, turn your left toe out. By doing that, it just gives you that impression, or feeling, that you’re slightly open. 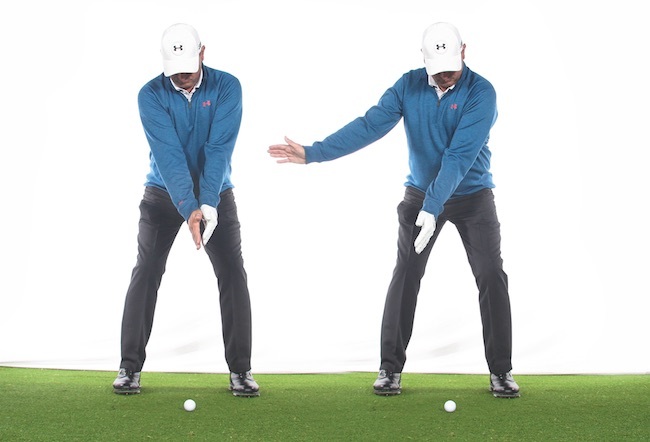 But because you’re not as open as left pic, that means the club can work back and through on a much more neutral path – and this will give you a more centered strike. We know distance control comes from strike, especially with short clubs, so by applying this new set-up on your pitch shots, you’re going to ensure a more consistent strike and also control the loft better. Kevin Craggs has coached Monty & others and now works with Melissa Reid. For lessons, call 08451 303433. Follow him on Twitter @kevincraggsgolf. Originally published on bunkered on April 27, 2016.